Historic site of three schools and a lane as old as the fort. The 2002 Aspen Acres Subdivision is located on Lynne School Lane which exits north from 2nd Street exactly 1/2 mile west of Washington Blvd. at Five Points. This subdivision includes the former 20-acre pioneer farm of William and Mary Cruse Stone that was valued at $200 in the 1860 census. In 1887 Ed Stone sold the farm to Victor Reno Senior, and it remained in the Reno family until 2001. Three historic schools have been located on the northeast corner of 2nd Street and Lynne School Lane: the 1853 log Bingham School, the 1866 adobe Lynne School, and the 1877 brick Lynne School. Why were the schools built at this particular location? This location was the center point on 2nd Street of block 1 West 4 North (1W4N) as pictured on the map of the Lemon Survey below, and is located exactly 1/2 mile from Washington Blvd. LEMON SURVEY: Schools on 2nd Street were in the center of block 1W4N, 1/2 mile west of Five Points; Mill Creek School was located the end of block 1W3N, 1 mile west of Five Points, on SE corner of 2nd St. and Mill Creek Lane. 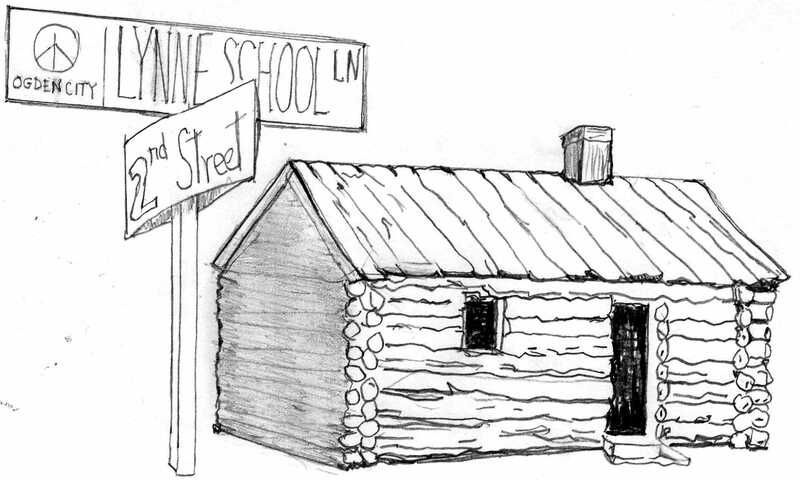 1853 (corner of Lynne School Lane and 2nd St.) – Isaac Newton Goodale built the log Bingham School with some help from Henry Gibson one-half mile from Washington Blvd. From the end of October to the end of December Goodale recorded efforts to get logs for the schoolhouse, trips to the sawmill, and the making of a door, frames and trusses. He even worked on the schoolhouse Christmas day and all the rest of the week to complete the new log school on December 31, 1853, just in time for a New Year’s dance celebration. The school was known as Bingham School. “Subscriptions” or tuition payments were expected for each pupil. A subscription school provided a way for the pioneers to educate their children, since there were no public monies available to provide for education in the 1850s. But collecting the payment was difficult for Newt Goodale since money was scarce. Subscriptions could be payed in farm goods or any item agreed upon for barter. 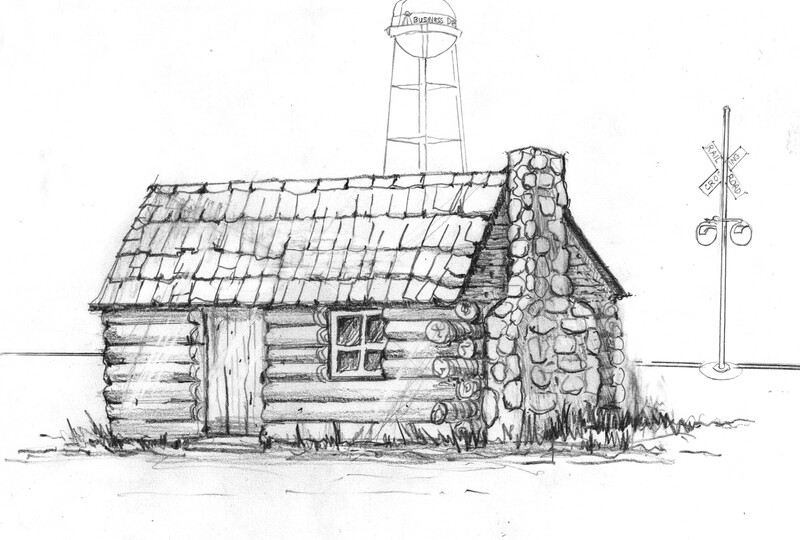 1863 (corner of Mill Creek Lane and 2nd St.) – The log Mill Creek School was built one mile west of Washington Blvd. at the end of block 1W3N in about 1863; this location was again determined by the Lemon Survey. It was larger than the Bingham School and had a large stone fireplace on one wall. Amanda Bingham was one of the teachers at the Mill Creek School (see home page history, 1863 for two stories that happened at the Mill Creek School House). The 1863 Mill Creek School was 1 mile west Washington Blvd; it had a large rock fireplace and chimney; Mill Creek Lane was later replaced by the railroad tracks. c. 1866 (corner of Lynne School Lane and 2nd St.) In 1866, when it was known that the train tracks would soon replace Mill Creek Lane, the community built their third school back on the corner of today’s Lynne School Lane and 2nd St. The third school was an adobe structure built by taxation and named Lynne School after the name of the precinct and the post office. 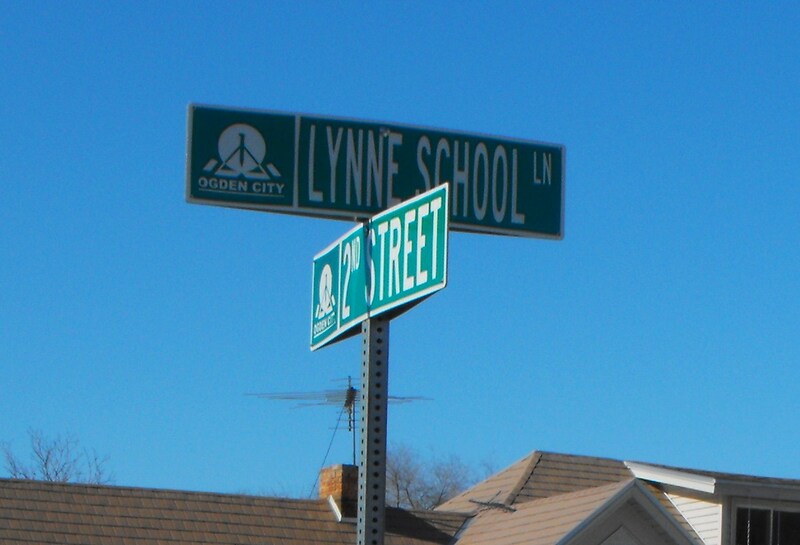 This was the first of three schools to be named Lynne. 1867 adobe Lynne School was 1/2 mile west of Washington Blvd. 1877 (corner of Lynne School Lane and 2nd St.) In 1877 the fourth school was built immediately west of the adobe Lynne School. Frederick A. Miller, William B. Hutchens and Rasmus Erastus Christofferson were in charge of the construction of this brick school which was also called Lynne School. It was 24 x 40 feet and was erected at a cost of about $2,300, furniture $300, total $2,600. Apostle F. D. Richards of the Church of Jesus Christ of Latter-day Saints dedicated the school on December 9, 1877. When this school was completed, the adobe school was torn down (see home page history, 1877). Laura Rogers served as a teacher at the brick Lynne School before her marriage to Stephen W. Perry in 1887. 1877 brick Lynne School was 1/2 mile west of Washington Blvd. ; photo c. 1933. Where did the name Lynne originate? 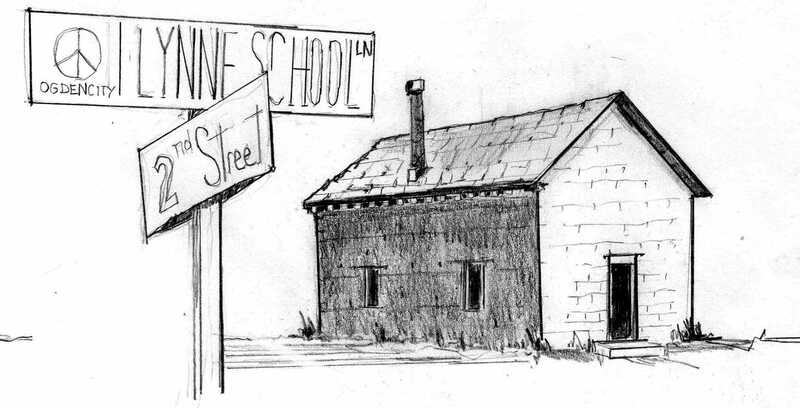 What happened to the 1877 Lynne School? How old is the roadway by the school? 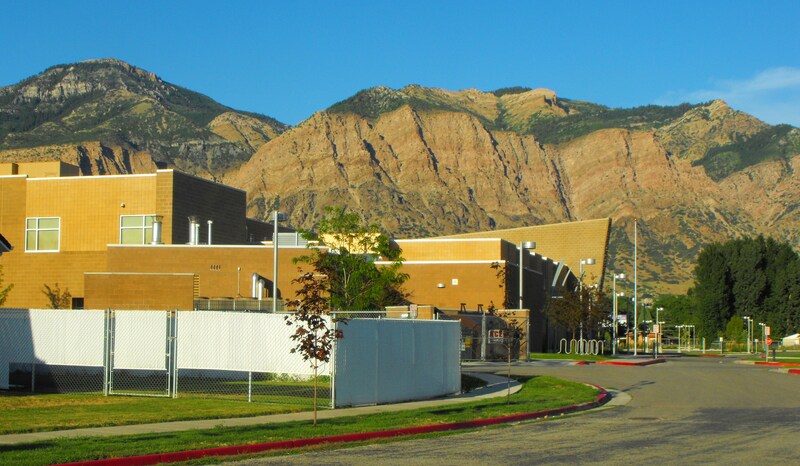 In 1889 free schools were established in Ogden. 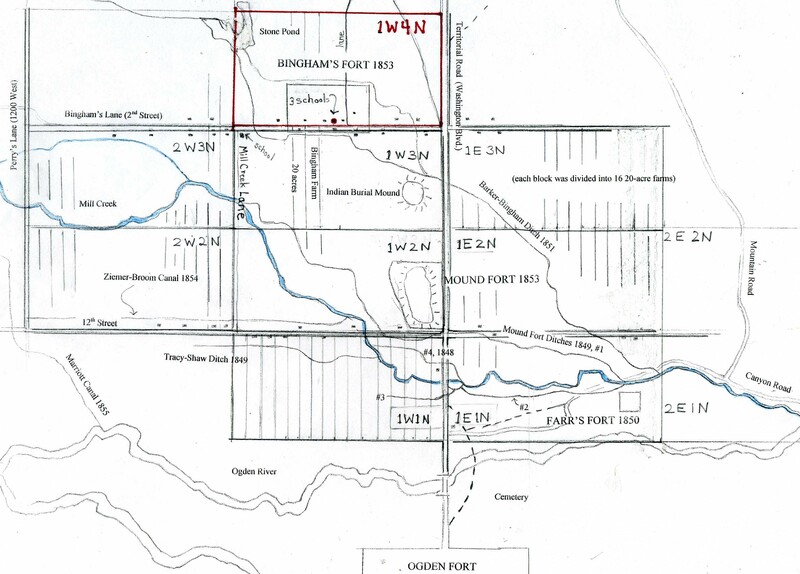 In 1890 Ogden City expanded its boundaries to annex the Lynne Precinct, and the Lynne School trustees had to turn their school over to the superintendent of Ogden City schools. 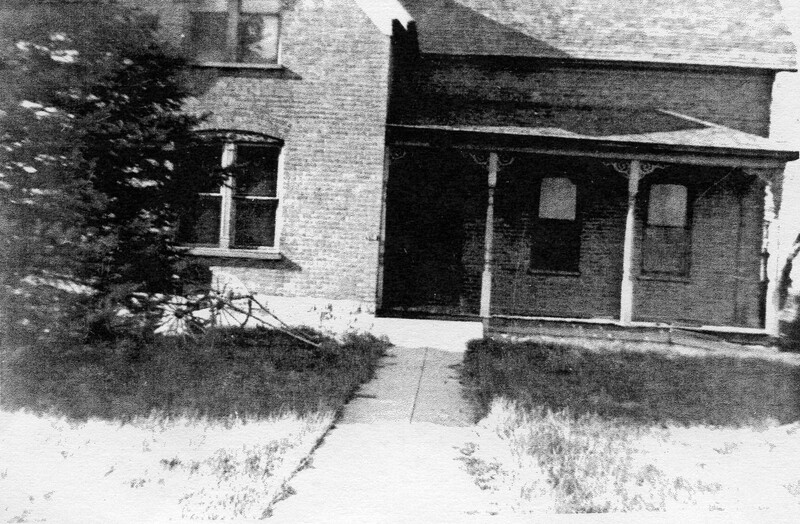 Front view of the Victor Reno Sr. residence; Lynne School is on the left; fire destroyed the structure in the 1970s; photo Maxine Stone Brown, c. 1930. The dirt lane next to the Reno house was originally the 1854 lane into the Stone-Reno farm. In 2001 the farm was sold for a subdivision. The new paved road followed the course of the original 1854 lane and was named Lynne School Lane to honor the historic location of three schools. 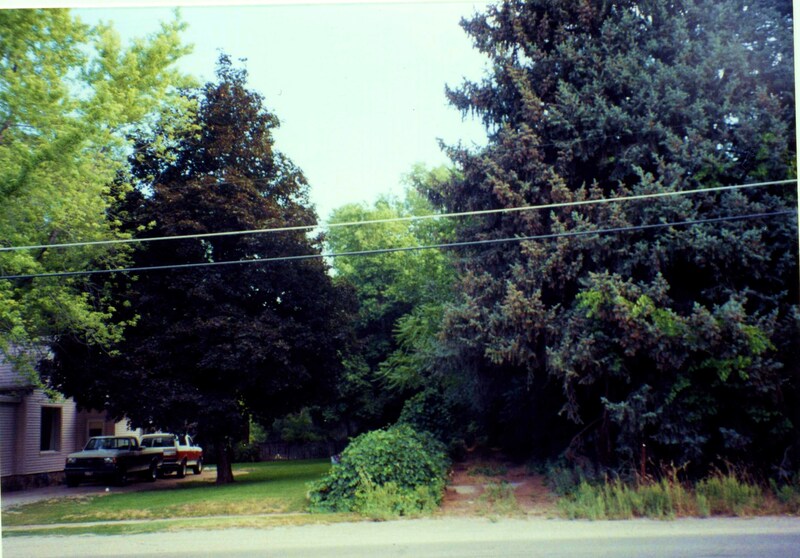 In 2000 the old Stone-Reno farm lane is pictured above; Mary Maxham house on left; the large fir tree on the right is the same tree in the 1930 photo above of the Reno house. 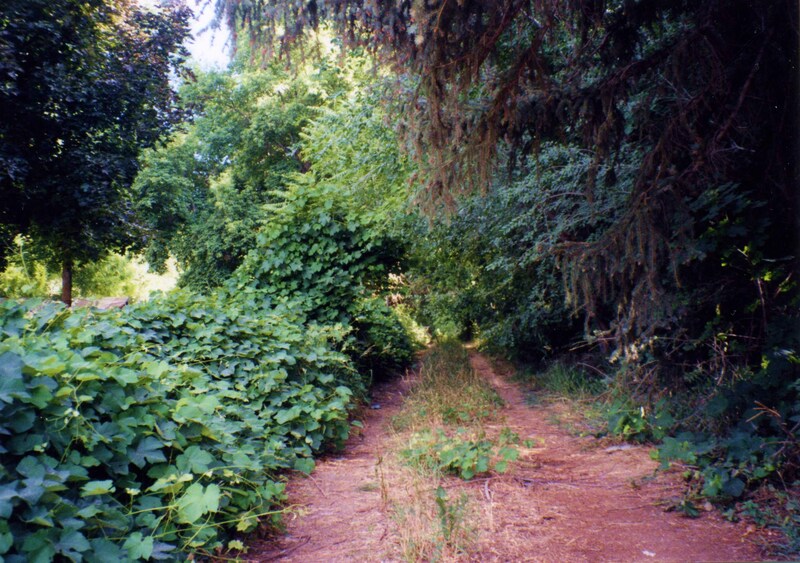 Close up of the old dirt lane as it exited 2nd St.; this lane is as old as Bingham’s Fort and became the paved Lynne School Lane in 2002; photo 2000. TODAY: Intersection of 2nd Street and the 2002 Lynne School Lane; Mary Maxham house on the left; photo 2012.
c. 1892 After selling the old brick Lynne School, the Ogden School board built the fifth school of the area named Five Points School on the NW corner of Adams and 3rd Street in the early 1890s. About forty years later the Five Points School was updated and enlarged and renamed the Lincoln School. 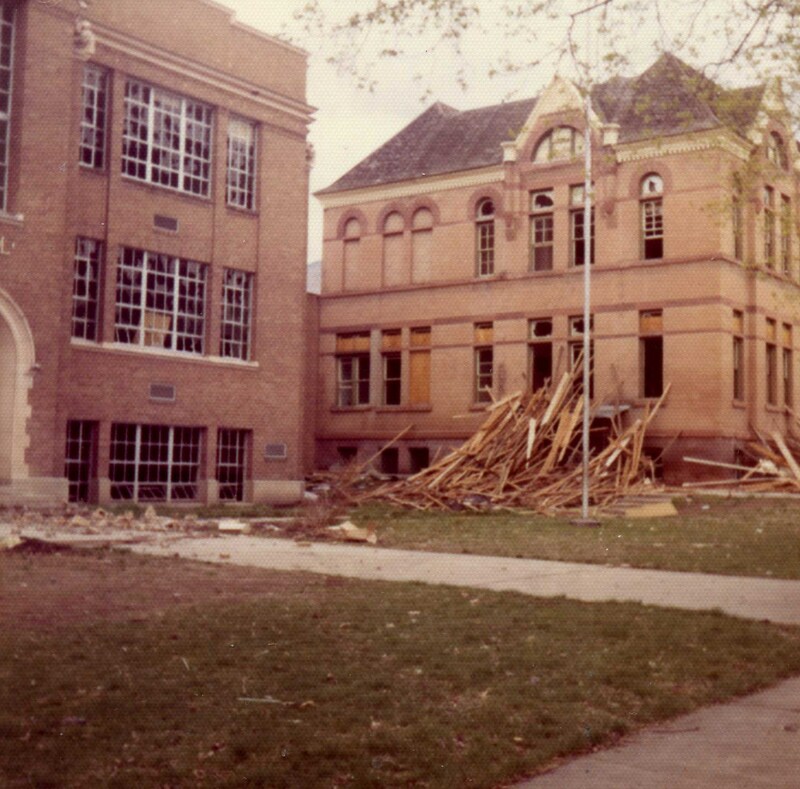 1972 DEMOLITION photo shows the 1890 Five Points school on the right and the c. 1926 addition of Lincoln School on the left; photo G. Sherner. 1950s In the 1950s the Lincoln School was replaced with a new school at about 635 Grant Ave. named Lynne Elementary School. 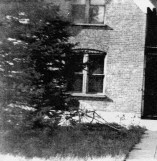 This was the sixth school of the area and the third school named Lynne. Lynne School was built in the 1950s on Grant Ave.
2009 In 2009 Lynne Elementary was replaced by Heritage Elementary School, the seventh school of the area located at 373 S. 150 W.; this location is two blocks south of the first log Bingham School built 156 years earlier. Heritage Elementary named for the historic heritage of the community. Andrew Jensen, History of the Lynne Ward, manuscript, 1893, Church Library of the Church of Jesus Christ of Latter-day Saints, Salt Lake City, Utah, Microfilm #LR 6405 2. [1a] Mary Remembers, p. 88; Journal of Nancy Jane Gates; Andrew Jensen, History of the Lynne Ward, p. 4,5. William Terry, Yesteryear In Lynne; Andrew Jensen, History of the Lynne Ward, 1893, p. 2,4,8. Andrew Jensen, History of the Lynne Ward, p.5. Editor Milton R. Hunter, Beneath Ben Lomond’s Peak, The Weber County Chapter of the Daughters of Utah Pioneers, copyright 1944, p. 534.